Presents made with love are the best kind. Add a dash of hidden herbal medicine, wrap it with positive intention & you've created some serious heavenly bounty to give. DIY gifts are constantly sparking our creativity and imagination, so we chose a few of our current favorites for every Vata, Pitta and Kapha loved one in your life. PRO TIP: Choose a mantra, short poem, quote or prayer and repeat it to yourself while you craft your gifts. This act will sow your creations with the subtle vibrational energies of your chosen chant and will bless the receiver through your creation. It has been said the practice of smudging, or purifying a room with the smoke of sacred herbs, can help clear negative energy from a space. When burned, sage and other herbs release negative ions, which research says lead to elevated moods. 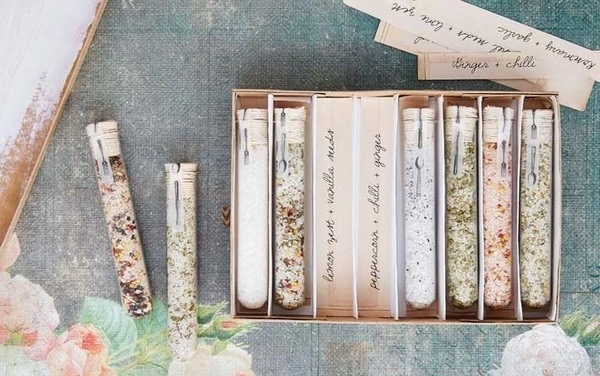 Whimsical, unique and practical, these DIY smudge sticks will elevate the spirit and the space of your loved ones. The instructions are pretty basic here: Bundle together your herbs and flowers in a pleasing way. Wrap tightly with cotton twine and wait til dry. The sky’s the limit with blending! Have fun experimenting with your favorite culinary herbs + getting to know the many beautiful varieties of salt. Himalayan pink salt is hand-mined from ancient marine fossil deposits. The pink hue is derived from its high mineral and trace element content, including calcium, magnesium, copper, and iron. Smoked sea salt is prepared by slow roasting salt over flavorful wood smoke from various species of trees. Include smoked sea salt in BBQ herb blends. Red Alaea sea salt, or Red Hawaiian sea salt, is formed from seawater slowly evaporating in tidal pools, that are naturally infused with iron-rich, red volcanic clay. Talk about elemental alchemy! Fire, water, mineral, and air are all embodied in this crimson maritime sacrament. Volcanic Hawaiian sea salt is truly jet black, but it is colored by activated charcoal made from coconut shells, and not lava rock as one might imagine from its name. The black will “wash” off if used in cooking, so preparing it as a finishing salt is the best way to preserve the evocative ebony hue. Kala Namak is mined from several areas in India, Nepal, Bangladesh, and Pakistan. Also called Himalayan black salt, it has a pungent aroma and unique eggy flavor, due to its high sulfur content. It comes from the earth in inky crystals, but it is pink or light purple in color after it is ground. Celtic sea salt is a coarse sea salt, gray in hue, due to the harvesting technique, which includes the bottom mineral layer of the salt harvesting area. It is hand-harvested and sun dried.
. : Here are some herbal blends to try : . Garam Masala is the Indian equivalent of French herbes de Provence or Chinese five-spice powder. The recipe changes from region to region within northern India and can be varied according to whim. 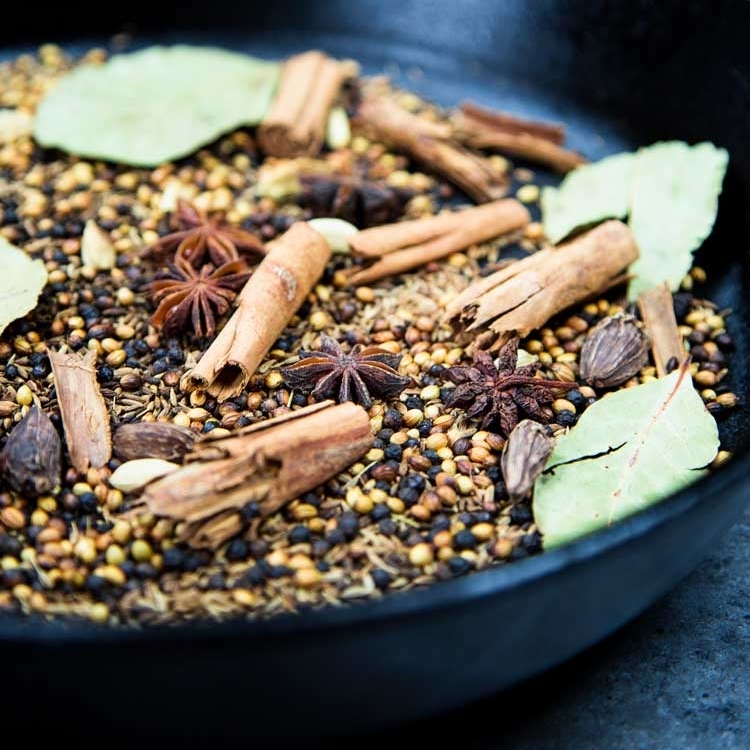 As a rule (one that certainly gets broken at times), Garam Masala is only added at the last step of cooking, almost like a fresh herb, because it tends to become bitter if cooked too long. After a long day or a hard workout, soothe sore muscles with an all-natural rub that gently warms and releases muscle tension. 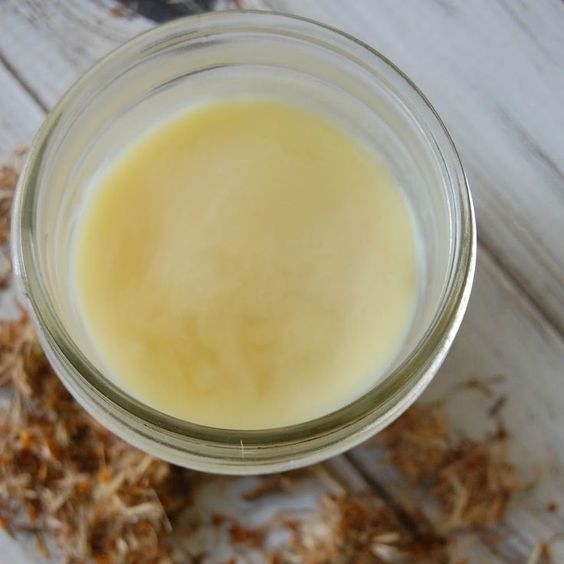 The essential oils in the rub help promote blood flow to the area, which is what gives you that icy/hot feeling, and the extra blood flow helps the muscles rejuvenate faster. 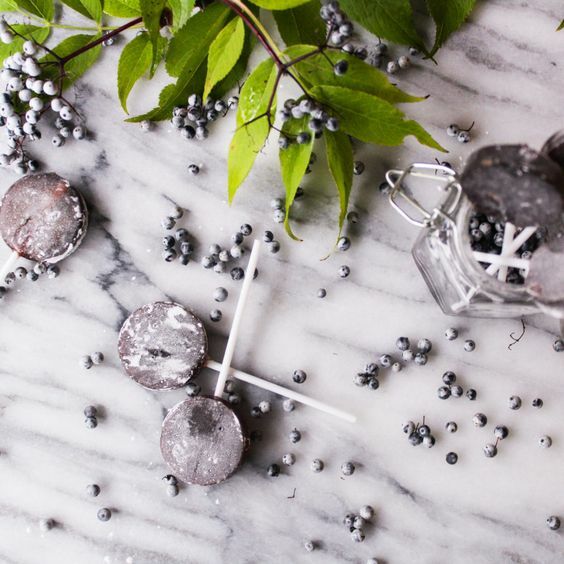 These elderberry lollipops are delicious and the perfect thing for a dry, hot throat, and hoarse cough. Makes approximately two dozen immune stimulating, soothing lollipops. Gently simmer water, elderberries, marshmallow, and wild cherry bark for approximately 20 minutes. Strain away solids and discard. The resulting liquid should measure two cups exactly; adjust accordingly. In a 4 quart saucepan, combine warm elderberry liquid with sugar and cream of tartar. Pour into molds pre-prepared with lollipop sticks. You may need to press the sticks firmly into place and/or roll them slightly to ensure the stick stay in the center of the lollipop. Cool until set; about 30 minutes. Dust with preferred ingredient and store in a cool, dry place in an airtight container. Saucepan and tools are easily cleaned of residual candy with the use of boiling water.